Click here to view all of our Mandarin homes! The fashionable, upscale and well-situated Mandarin neighborhood comprises part of the south side of Jacksonville, Florida. 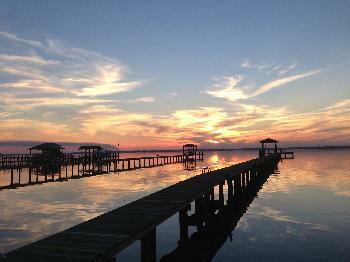 This historic neighborhood rests on the eastern shore of the St. Johns River across from Orange Park. Calvin Reed, a prominent resident of the area in the early 1800s, named the community after the Mandarin orange which was grown in the area. In 1864, in a well-chronicled incident, a Union steamship called the Maple Leaf struck a Confederate mine in the area and sank. In 1867, noted author Harriet Beecher Stowe brought national attention to the area when she called Mandarin a "tropical paradise." She lived in a cottage here during the next 17 winters, and she noted the ancient oaks serenely draped with Spanish moss and the bucolic water views. At the time, Mandarin was an independent village devoted to agriculture. Steamships on the St. Johns River took much of the area's production of lemons, oranges and grapefruit to Jacksonville. The Mandarin Museum, though located in a smaller structure, is packed with artifacts and memorabilia that tells the story of this area in the 19th and early 20th centuries. Sometimes a banjo player entertains visitors right outside the entrance. The Mandarin Arts Festival has been an annual event in the neighborhood for almost a half-century. The festival is held at the Mandarin Community Club, and it helps to raise funds for a variety of charitable purposes in the community. Hand-crafted items and works of art are displayed by artists from as far away as California. Visitors may find $25 custom earrings alongside $20,000 sculptures. The prospective Mandarin home buyer will discover numerous majestic and enchanting Mandarin homes among the Mandarin properties on the market. It is recommended that one enlist the services of a capable Mandarin real estate agent to learn more about the best values in Mandarin FL real estate. 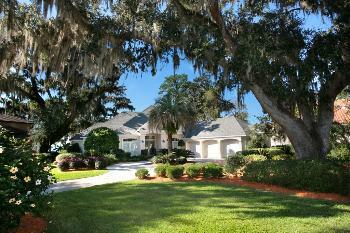 The homes for sale in Mandarin include many newer three and four-bedroom homes on substantial lots. Some are beautifully framed by sprawling oaks. The discriminating buyer can elect to view a number of million-dollar Mandarin FL homes. Some were built decades ago, while other luxurious Mandarin homes were constructed in just the last few years. Some of these magnificent Mandarin properties feature 6,000 sq-ft or more of living space. The real estate in Mandarin also includes wonderful parcels of land that are perfect for dream homes. Chris and Denette Triplett can explain more to you about Mandarin real estate and how it is so well-situated. Those with Mandarin FL homes have short drives to downtown Jacksonville, championship golf courses and the Atlantic seashore.